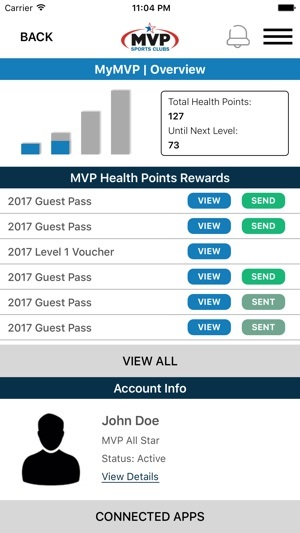 MVP Sports Clubs Mobile allows you to check in to our clubs and classes, view and manage your Health Points and rewards, view class schedules, class changes, add a class to your calendar, view current announcements, promotions, coupons and membership incentives. View club hours for the week and dial any location with one convenient touch. 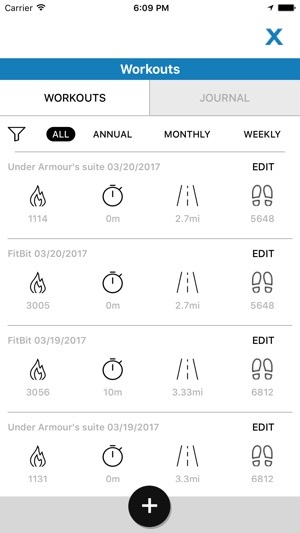 Your app is utter garbage. I would think that a company with your resources would at the very least produce an app that is semi-useful, but this atrocious piece of crap can’t even log me in after recovering my password. Your app produced a password FOR me, and proceeded to not accept the password that IT made! Honestly after practically choking on the concept of this app after your employees repeatedly forced it down my throat I thought it may have some promise. WRONG as it turns out. In conclusion, I am immensely disappointed, and thusly I give it 1 star which is more than it deserves. ...but still not perfect. 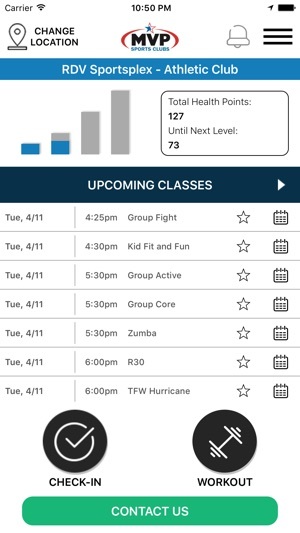 Takes several seconds to update the homepage schedule, even on WiFi, and then you have to click through to the full schedule page to see evening classes. Also, I’d like to expand multiple days, versus having to shrink one day to view another. 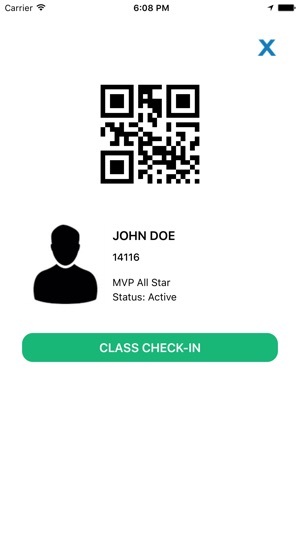 I LOVED the app and used it all the time to look up the class schedule. 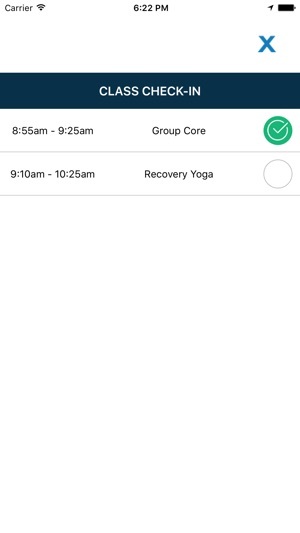 I use two locations which you could view simultaneously on the old app in a custom schedule. Now I constantly have to switch between locations to pick a class for the day. It has greatly impacted the usability and my motivation to look up classes.